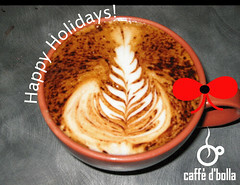 caffe d’bolla will be CLOSED Dec. 25 – January 2. We will be OPEN for our regular hours on January 3. Be on the lookout for exciting things coming in the new year!